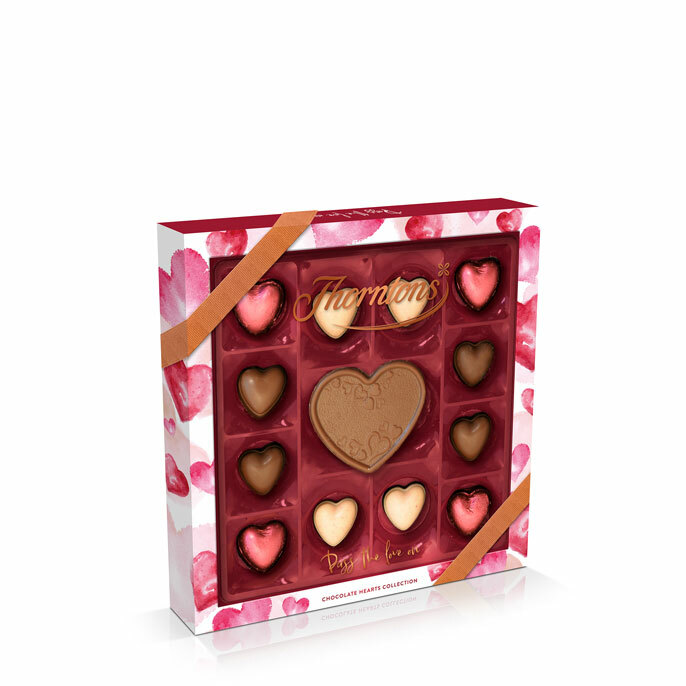 Make it special this Mother's Day and pass the love on with an indulgent gift from Thorntons. Whether you’re celebrating your mum, step mum or grandma, it’s the sweetest way to show her that you care. Filled with a hand-selected collection of heart shaped confections, this selection box is a delightfully romantic gesture. Let them find their favourite amidst the Foiled White Heart with smooth vanilla centre, the Gooey Caramel Heart filled with soft buttery caramel and the Double Layered Heart pairing tempting layers of smooth dark and strawberry flavoured white chocolate. 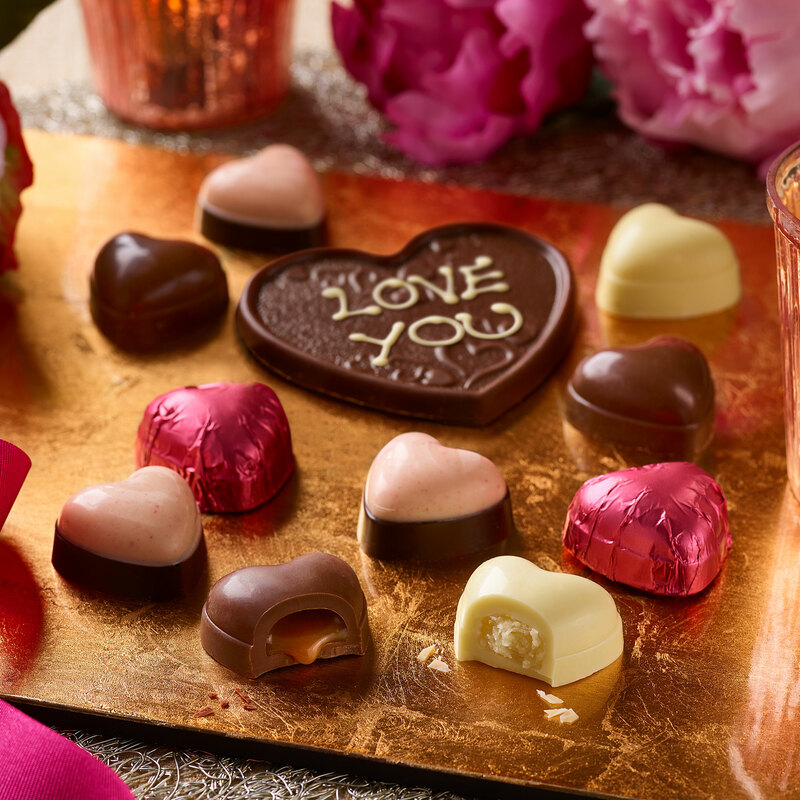 Why not pass the love on to all your favourites this Mother's Day with our sweet selection of limited edition gifts. You can even personalise selected items with your own very special message - the perfect way to melt the heart of any chocolate lover. Sugar, cocoa butter, dried whole MILK, cocoa mass, double cream (MILK), glucose syrup, butter (MILK), dextrose, humectant (sorbitol), whole MILK, sweetened condensed MILK (whole MILK, sugar), MILK fat, palm oil, invert sugar syrup, emulsifier (SOYA lecithin), strawberry powder, fat reduced cocoa powder, flavourings, salt, sea salt, vanilla seeds.